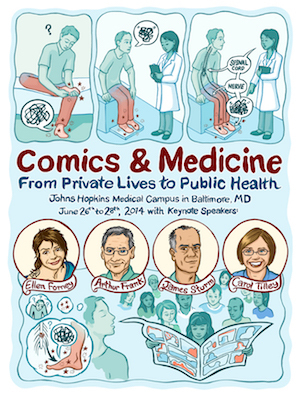 Who would know that every year there is a conference dedicated exclusively to bring together comic artists and public health professionals? It’s the result of the wonderful work done by Graphic Medicine that promotes the creation of materials for patients and physicians to communicate better. I attended the conference given my interest in the use of comics for communication in science and was greatly impressed by the initiative and presentations. 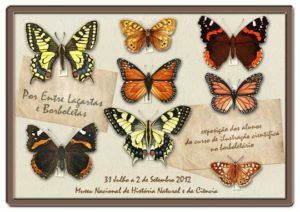 Borboletário is the live butterfly house at the botanical garden of the University of Lisbon. 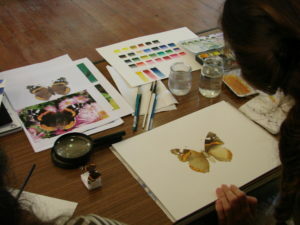 For the third time, it hosted a 4-day science illustration workshop, this time I covered the use of watercolor as an illustration medium and as before the participants had access to the Borboletário’s educational collection and live specimens of adult butterflies and caterpillars. Don’t miss the trailer from the two last editions! London hosts annually the Electronic Visualisation and the Arts Conference. In the 2013 edition I presented my doctoral research on the museum visitors’s experience with augmented reality technology. The paper for my presentation was published in the conference proceedings and it can be read online or at the Publications page.